While the tech world is abuzz with news of the iPad Mini, pen folk FINALLY got their hands on a different mini…the TWSBI Diamond Mini. 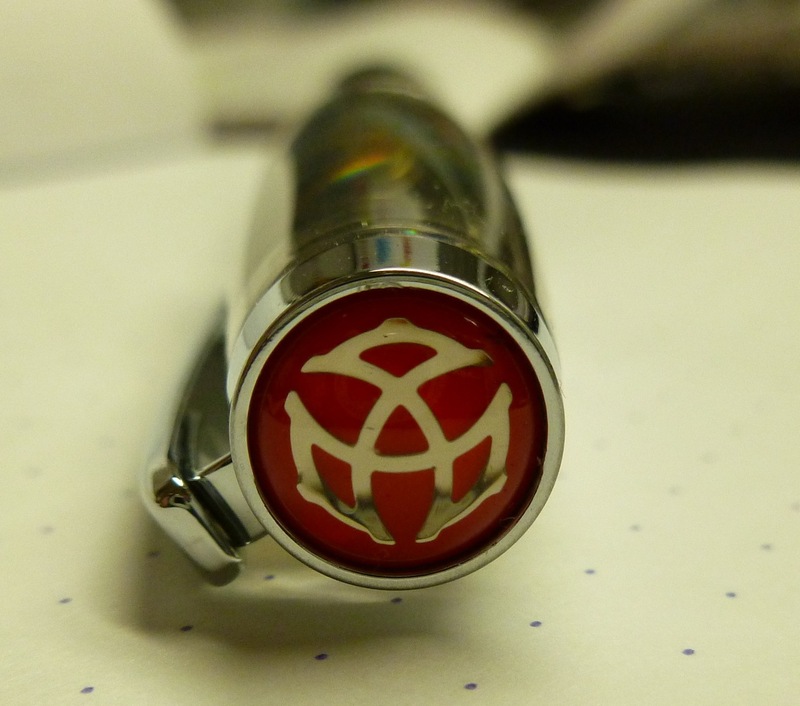 Before becoming a regular listener of the FPGeeks podcast, I’d never heard of TWSBI. But Eric and Dan mentioned the company so often that I started stalking TWSBI pens online and read a ton of reviews…but only recently picked up a TWSBI Diamond 540 (Amber). 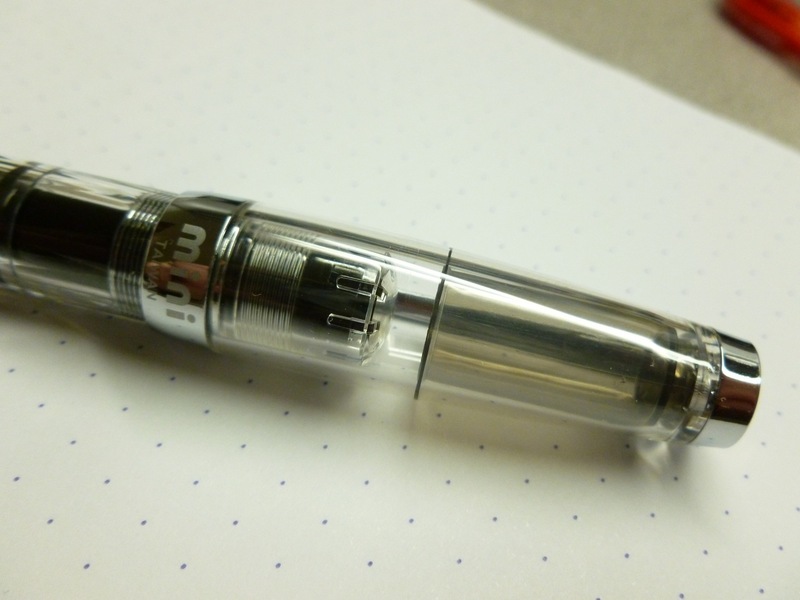 Awhile back, talk of the mythical TWSBI Mini ramped up, but the release date remained elusive. I was so impressed by the 540, that ordering a Mini was a no-brainer. But when would it hit the market?? TWSBI apparently spends a lot of time refining their designs to incorporate the suggestions of their fans, so release dates are not exactly carved in stone. But last week, the Mini launched, and as soon as I got wind of it, I ordered directly from TWSBI (from bed, on my iPad). A couple of days later, my Mini arrived, and I am loving it. I picked the demonstrator model (all clear) because I like seeing the ink (Private Reserve DC Supershow Blue) sloshing around inside. The piston-filling system is a breeze to use and just sort of fun, in an inky kind of way. I’d read a few reviews that noted dry writing with some TWSBIs (mainly the Micartas) so I was a little leery, as I have zero knowledge of how to adjust a dry pen. But I needn’t have worried as both the Diamond 540 and Mini wrote wonderfully out of the box. I’m very happy with the EF nib and the wetness of the line. 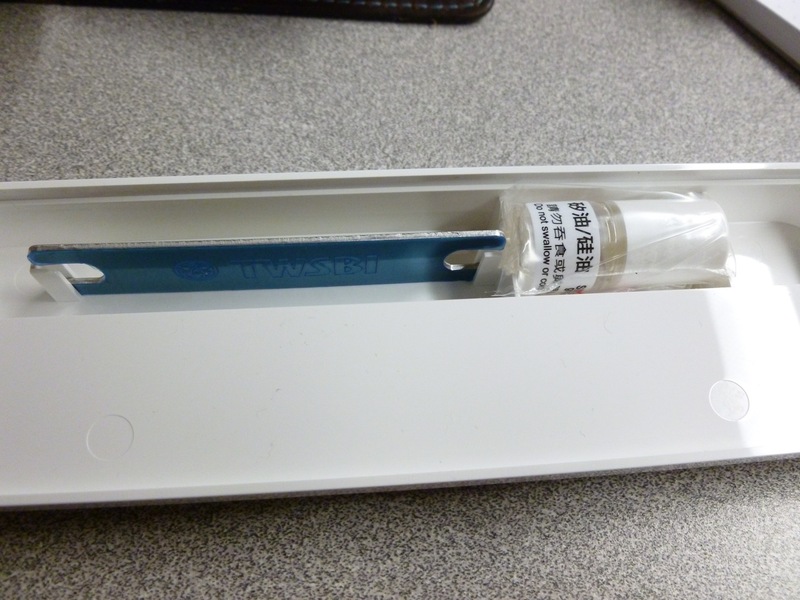 To post the cap, simply thread it onto the back of the pen body. 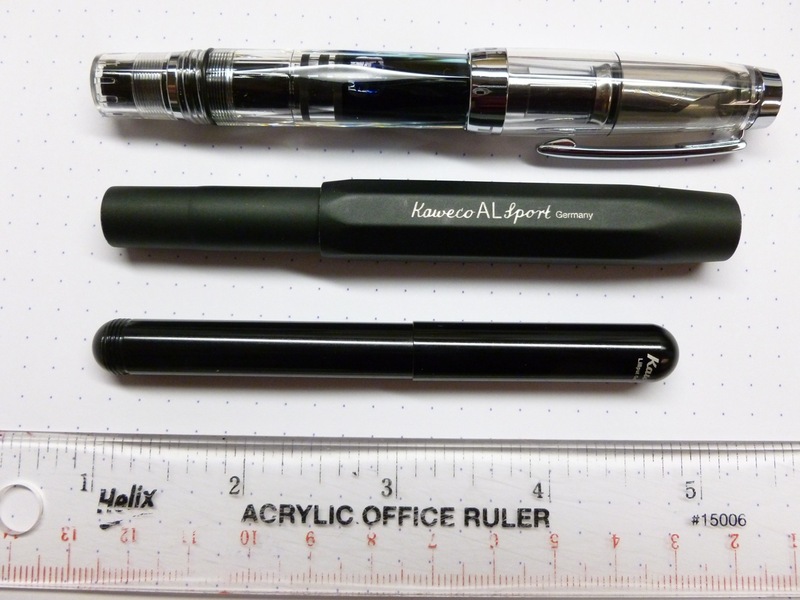 Voila…perfect size for comfortable writing. So while the TSWBI Mini isn’t super small (honors for that go to the Liliput), it’s nicely compact and easy to carry. 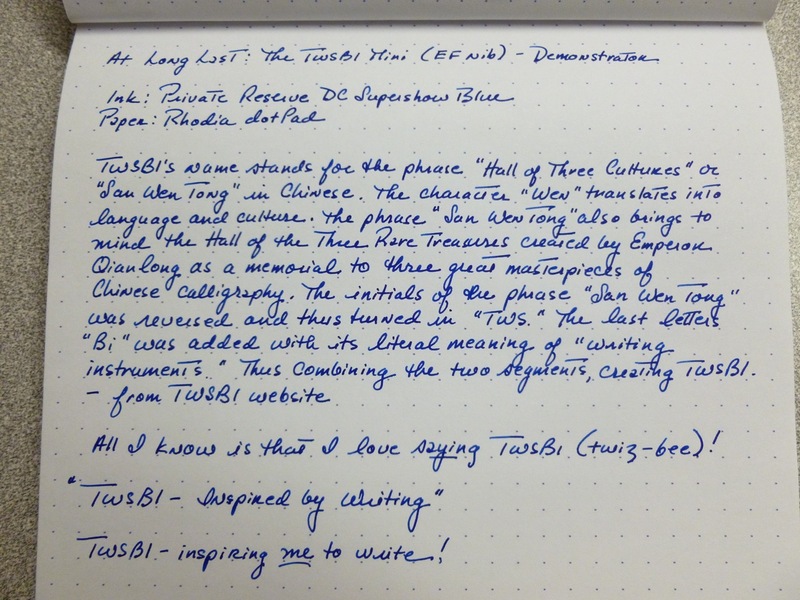 The TWSBI Mini also feels less “loseable” than the Liliput, which is just a wisp of a pen (but cool, in it’s own way). -For the pen to teach the user how to enjoy a slower-paced lifestyle. For someone who has a hard time getting off the hamster-wheel of life and quieting down, TWSBI’s goals were just what I wanted/needed to hear. 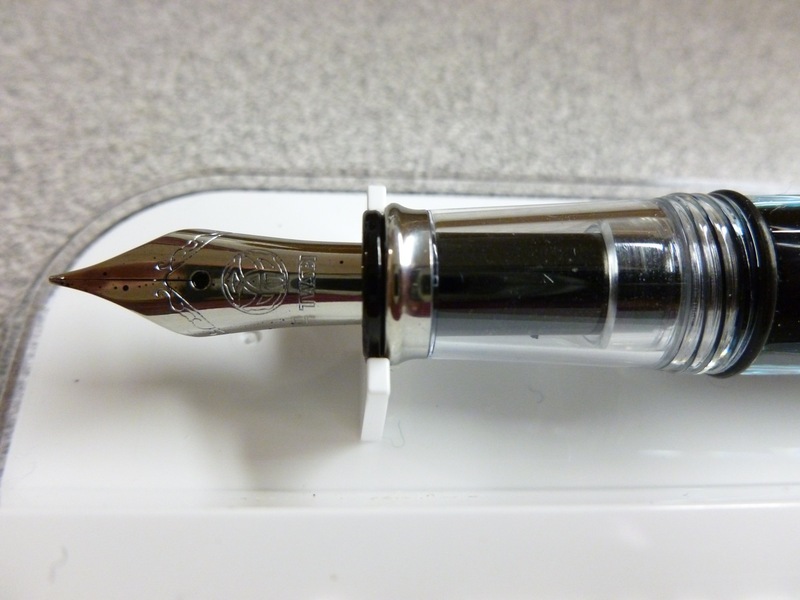 And I think that using the TWSBI Mini, or any fountain pen, really DOES help to slow things down. There is a bit of ritual with a fountain pen…selecting the ink, filling the pen, choosing the paper, seeing the ink flow, cleaning the pen…all are steps that force us to ratchet down from the crazy pace of our days. As we write, we breathe and relax. Just a little bit. Just a little bit. 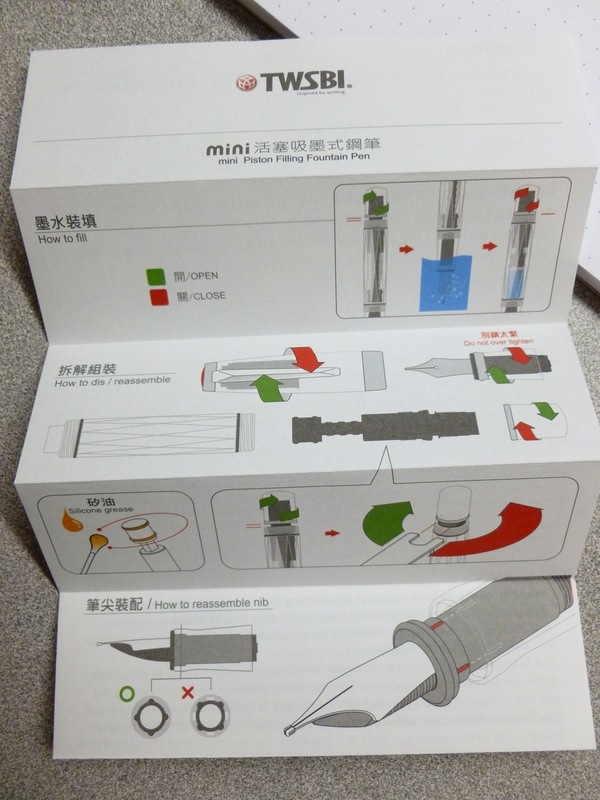 TWSBI also encourages users to periodically perform preventative maintenance on their pens by providing detailed diagrams as well as the necessary wrench and silicone grease for complete disassembly. Am I THAT brave? Not yet, but maybe one day. It DOES look quite simple. TWSBI’s tagline is “Inspired by Writing” and I can honestly say that the Mini (as well as the Diamond 540) DO inspire me to write. AND to slow down. TWSBI, you’re the prescription I’ve been looking for. Exhale. I feel better already.